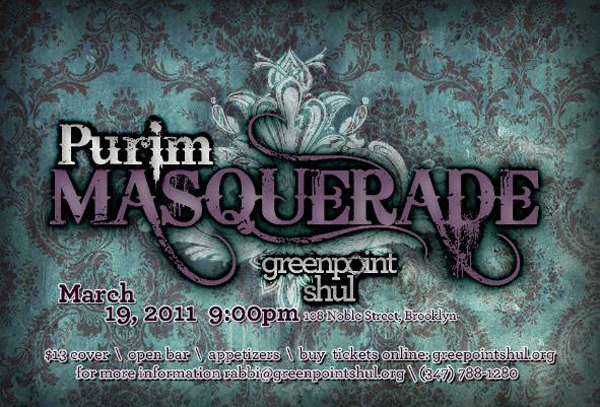 The Greenpoint Shul would like to have our Purim Masquerade invitation posted on Newyorkshitty.com. Duly mentioned! Tickets for this event (which are $13.00 each and include snacks and an open bar) can be purchased by clicking here. It goes without saying dressing up in costume is encouraged. March 19, 2011 starting at 9:00 p.m.